The air hung heavy with the pungent smell of burning trash. My water bottle was nearly empty, yet tears flowed down my cheeks like anointing water making its way into the special bottle the Lord keeps for tears. These were the tears of poverty. Our mission team of seven women from Charlottesville, Virginia, serving with Iris Global in Mozambique, had spent the early morning hauling buckets of rock to form the floor of a mud house for a blind man.We then piled into the back of a pickup truck and headed to the next job site. We didn’t know where.When the truck turned up a dirt road, the air changed. The stench of burning garbage engulfed us. Flies swirled in the bed of the truck and clung to the dirt on my daypack. Trailing behind, dozens of children-residents of the garbage dump-chased the pickup through heaps of smoldering trash. They ran from the smoking hills to see why we had come.We came to see the glory of the Lord, God’s hidden treasures.We parked and followed a local Mozambican pastor over a hill and down into a dirt village.He stopped at a house of sticks, rocks, rusted tin, plastic and straw. A woman sat weakly on a can. We learned that just days before, she’d been sick in her hut without food or water for three days. A neighbor finally discovered her and took her to the hospital. That’s where the pastor met her.He wanted to do something for Gloria. When I met Gloria in the garbage dump, it was as if I was gazing into the face of Christ Jesus. I felt His love pouring through me. I was overcome with compassion. I held her and prayed for the Lord to strengthen her with His resurrection power (Ephesians 1:19).That day our team of women, plus a few Iris Harvest students, hauled 500 cinderblocks over the hill and down into the garbage dump village so another team could build Gloria a block house.I carried the weighty blocks, one by one, while the local teen boys piled two, three or four on their heads. We broke into laughter and rejoiced in the Lord, saying, “Hallelujah!” Tears of joy filled my eyes. He truly gives strength to the weary.That day in the garbage dump I pushed myself and watched the Lord do the heavy lifting. And inside my heart, everything changed. Nothing else mattered in all the earth. Truly the words Paul wrote to the Philippians became real to me. Everything is rubbish compared to the surpassing glory of knowing Christ.I had found God’s glory – His Gloria – hidden in the garbage dump.I brought home treasure. I can’t forget. The glory of the Lord is in the lowest places. His Kingdom comes to the lowly, to the hungry. In Virginia, women’s lives are changing as hunger rises and the glory of the Lord falls. Today women arise from spiritual trash heaps and tombs; they break free from depression, anxiety and loneliness.Beholding the Lord, we are changed from glory to glory. We become healed healers healing the broken ones all around.God strengthens us with His might. His power is perfected in our weakness.May He receive all the glory forever. **Joan Hutter is the director of Women Abide, an interdenominational women’s ministry based in Charlottesville, VA. A freelance writer, she adores her husband and four children. 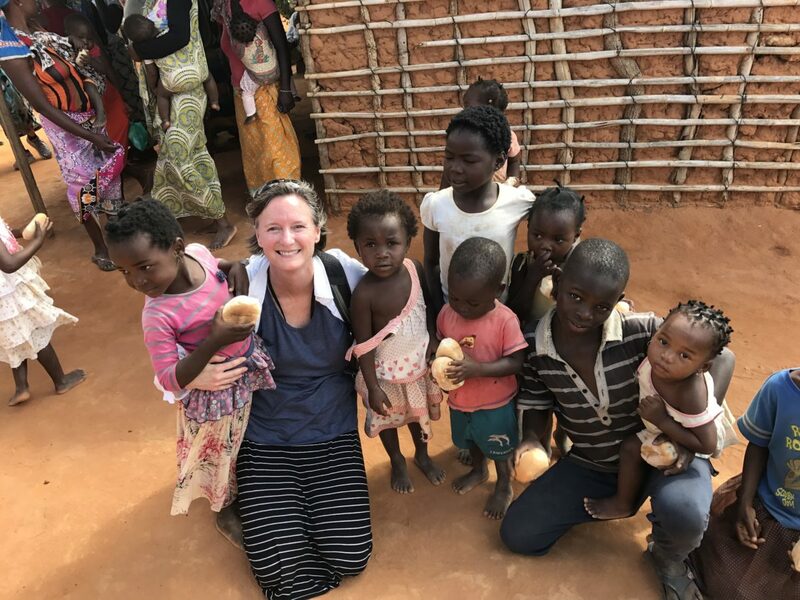 If you would like to further connect to Joan Hutter and her ministry efforts, Click Here.